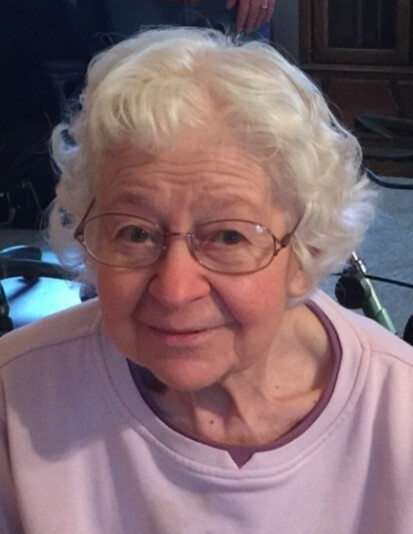 Obituary for Rose T. (Milillo) DePasquale | Cheche Funeral Home Inc.
Rose T. Milillo DePasquale, 98 the wife of the late Matthew DePasquale formally of Forest Hill Drive, Auburn died Monday April 8 in Gowanda Rehab and Nursing Center, Gowanda, NY. A native of Auburn, and a communicant of St. Francis Church, Rose enjoyed spending time with her family, especially her great grandchildren. She is survived by two sons, Steven DePasquale and his wife Sarah, and Matthew DePasquale; one daughter Angela Christina and her husband Steve; five grandchildren, Daniel DePasquale, Steven, Jason and Brian Christina and Jessica Shanahan; 10 great grandchildren; two brothers Nicholas Milillo and his wife Theresa and Michael Milillo and his wife Phyllis; and several nieces and nephews. In addition to her parents Steve and Consiglia Tanzella Milillo and her husband Matthew, Rose is predeceased by one son Thomas DePasquale. Friends are invited to join the family for a Mass of Christian Burial to be offered Friday, April 12 at 11:00am in St. Francis Church. Burial will follow in St. Joseph's Cemetery. Calling hours for Rose will be held Thursday from 4 to 7 pm in the Cheche Funeral Home Inc., 1778 Clark St. Rd., Auburn.